I found a dinosaur bone. It was half uncovered in the schoolyard. I was quite the scientist then. I vacillated between astronaut, archeologist, and chemist as dream jobs. I was surprised that a dinosaur bone was lying there in the outfield of the softball area of a Kansas elementary school. I had heard that most dinosaur bones were found in places like Montana. But you never know. I showed my friends my find. They were excited, of course. It was not always easy to pay the dinosaur bone a visit. You had to line yourself up with a particular house on the opposite side of the creek that divided our play area from the houses to the south. We would have to dig it up. I was concerned that The Authorities would not approve. So we would have to be clandestine. One by one, I tucked my mom’s spoons into my backpack and brought them to school. We had two sets of silverware, one with fan-shaped ends (the “good” silverware) and the other with plainer, chunky handles. Of course, I brought the chunkier ones. They would be less likely to be missed, and they were sturdier. Though not so sturdy that they wouldn’t bend when you tried to pry up a dinosaur bone. One or two of us stood guard, stood between the digger and the teacher supervising recess. I watched the progress of my crew and tried to figure out how long the entire project would take. I brought my camera to school. It was a long, thin Fisher Price camera, blue and black, that used those barbell-shaped rolls of 110 film. I took photos of the dinosaur bone, which was slightly more uncovered. I took photos of the surrounding area, and photos of the house that helped us line up where it was located. Archeologists did that kind of thing. I had read every book about ancient Egypt in our school library. 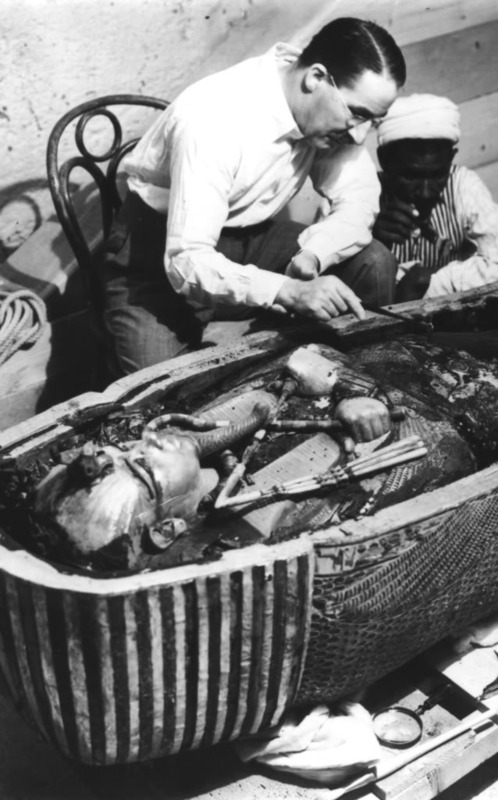 I had seen how Howard Carter had carefully catalogued every find in King Tut’s tomb, and taken photos with strings pulled out to show measurements. I planned to send these photos to Someone Important. Possibly the Museum of Natural History in New York. I had been there. I knew they were interested in dinosaur bones. The bone was shaped like a femur. I didn’t know that word, then, but it clearly had a leg bone shape to it. What kind of dinosaur? Not a t-rex. It was too small for that. Still, it could be a significant find. This could make my reputation, unlike that disappointing incident when I kept the tube with the dirt and the dead roly-polys, waiting for it to turn into coal until I learned that the process would take more than my lifetime. I would have to pass that tube on to my great-grandchildren, and their great-grandchildren. Sigh. Sometimes people wanted to play HORSE instead of digging up the dinosaur bone. Sometimes they wanted to climb the tiger’s eye jungle gym. I got frustrated with our slow progress. School ended for the year. And the dinosaur bone remained snug in its bed, waiting for another explorer to yell eureka. I really like this. You are a gifted writer.